Trader Joe’s has earned a reputation for selling unique and tasty products — gluten-free and vegan items included. One section of the store that deserves a special shout out is their spice and seasoning collection. That’s because these aren’t your usual salt and pepper fare. Trader Joe’s spices are versatile, international, affordable, and guaranteed to take your meals to the next level. Seasoning or sprinkling your food with one of TJ’s concoctions is the easiest way to add variety to your meals and enhance flavor. 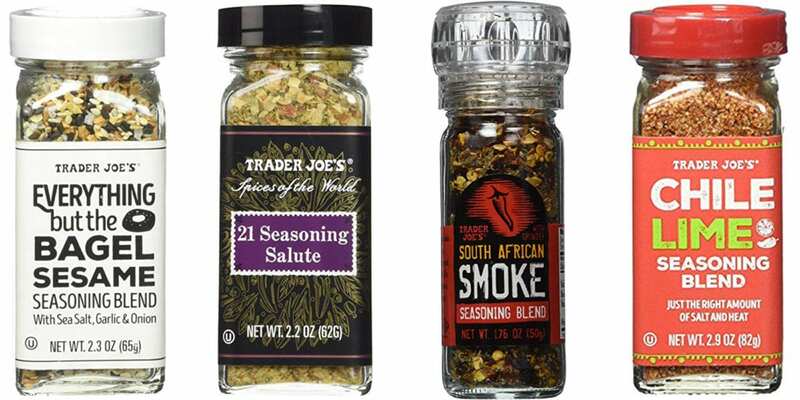 Spices and seasonings are, simply put, low-effort, high-impact culinary essentials, and Trader Joe’s has mastered this niche. Ready to spice up your meals and snacks — literally? Here’s our guide to the eight best spices from Trader Joe’s. And we’ll let you in on a little secret…if you don’t have a TJ’s store near you (or you just can’t muster up the strength to get out to a store), you can buy a lot of these on Amazon! Online shopping FTW. 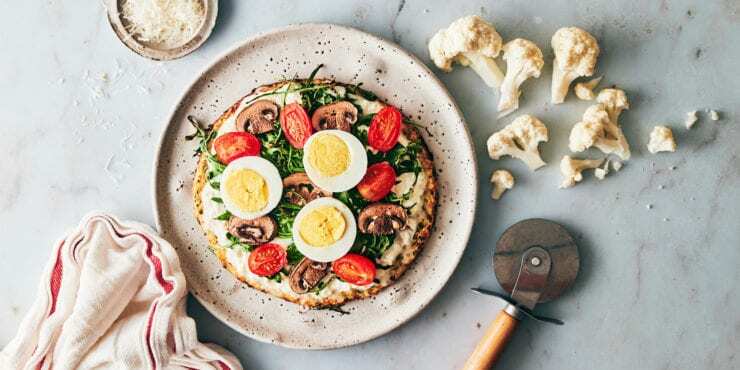 If you love a good everything bagel, but don’t always want to be weighed down by an entire bagel, this will change your world. Inspired by the savory, garlicky flavor of the beloved everything bagel, this seasoning blend has salt, sesame seeds, poppy seeds, and dried minced onion and garlic. This cult favorite blend amps up the flavor of…well, everything: eggs, avocado toast, hummus, Greek yogurt-based dip, roasted vegetables, grilled chicken, soup — you name it. 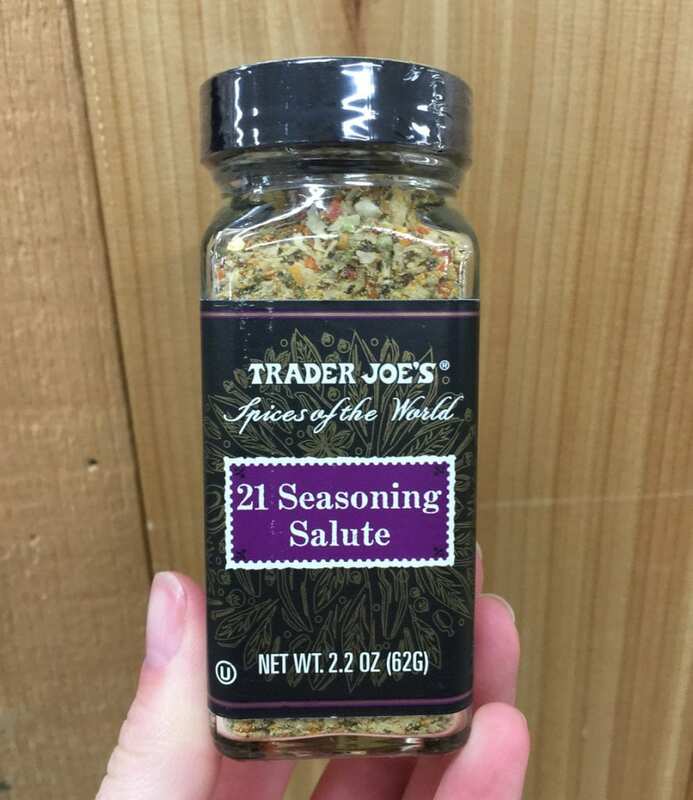 Trader Joe’s 21 Seasoning Salute is a pleasantly potent mix of 21 different spices and herbs, including onion, black pepper, celery seed, cayenne pepper, basil, thyme, oregano, rosemary, and garlic (to name a few). 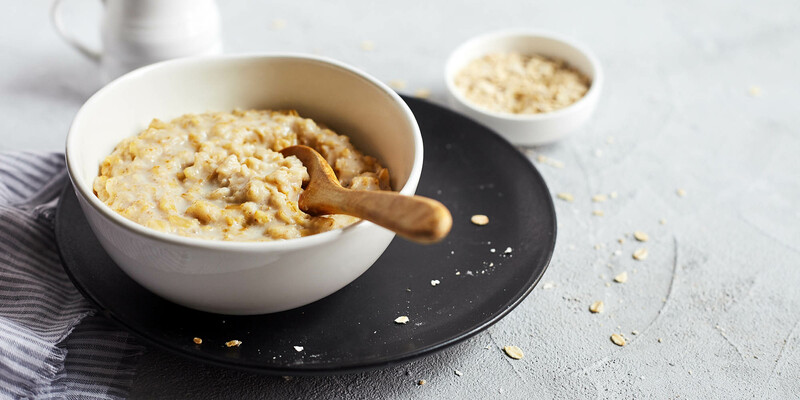 It’s perfect for seasoning meat, vegetables, and soups, and it’s also versatile enough to sprinkle atop an omelet or add to a salad dressing. The best part? 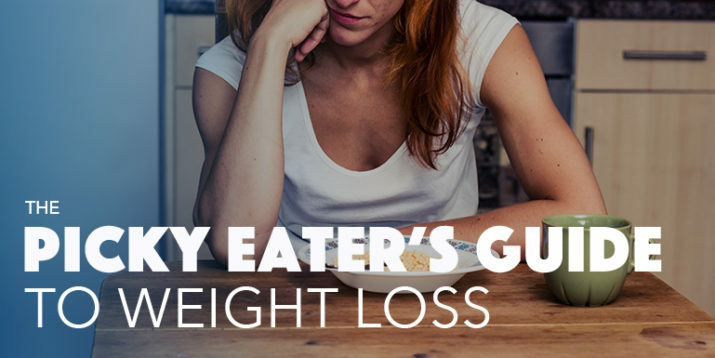 There’s zero grams of salt, so you can reduce your sodium intake without sacrificing taste. If you’re not yet familiar umami, the savory “fifth taste” of foods, prepare to be amazed. 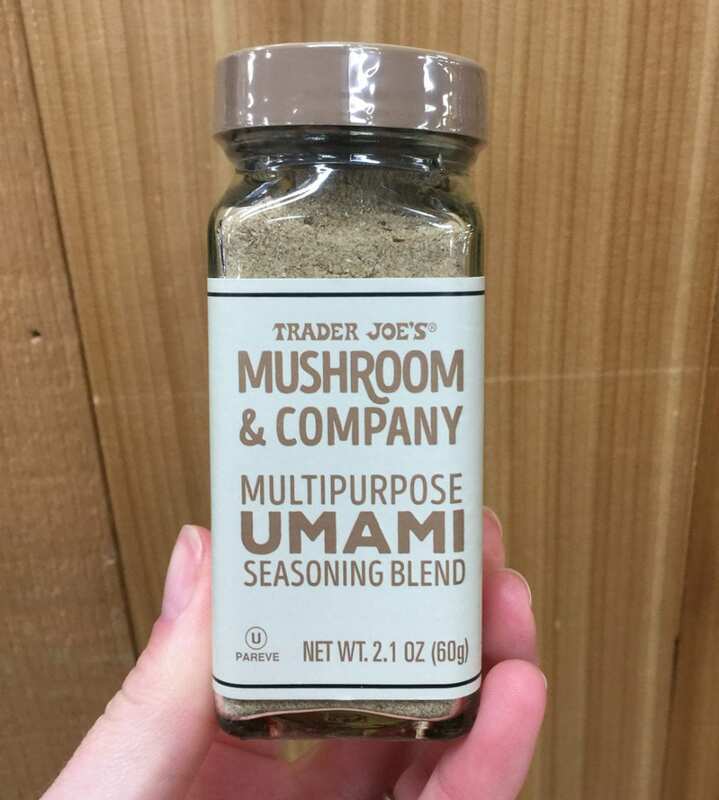 Trader Joe’s Umami Seasoning Blend is a savory, earthy, slightly spicy mix that includes kosher salt, dried onion, ground mustard seed, porcini mushroom powder, crushed red pepper, black pepper, and thyme. The flavor is a smooth, rich addition to soup broths, sauces, and meat rubs, and you could also dust it over roasted veggies and pizza crusts. 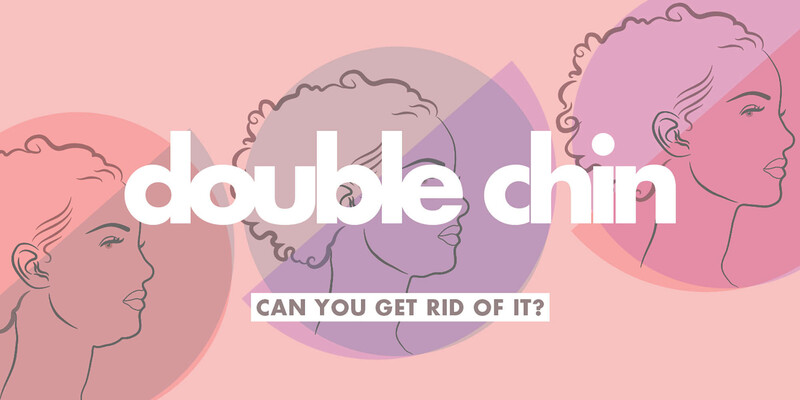 It’s not called a “multipurpose blend” for nothing — the versatility is legit! Why use regular salt when you can you this cool seasoning salt? This all-purpose savory seasoning brightens the flavor of most any dish. 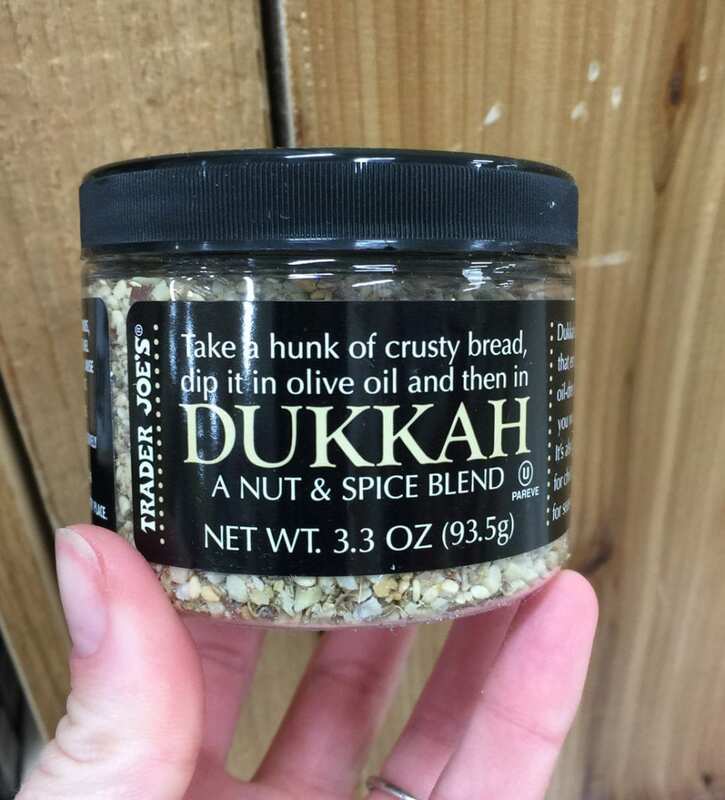 It’s a simple, but mighty blend of sea salt, granulated onion and garlic, celery seed, paprika, and dry mustard, plus a bit of ground nutmeg to balance out the saltiness. Use it as the base for salad dressings, sauces, and meat marinades, or sub it in for regular salt and pepper on sautéed veggies and scrambled eggs. When you’re tired of your usual rotation of spices, look to this smokey seasoning. 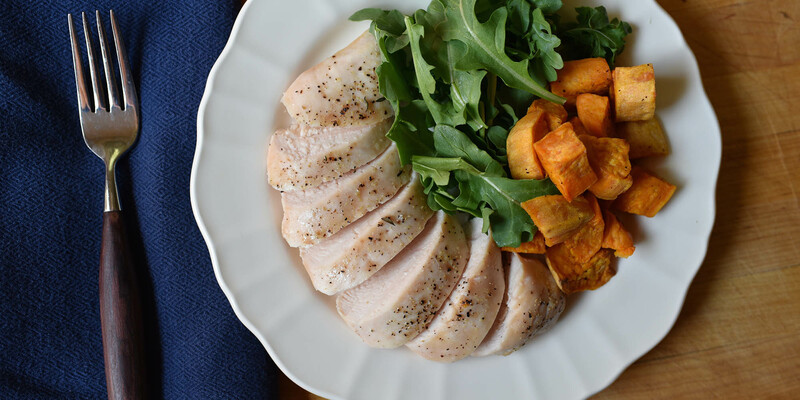 It’s a delicious blend of African-grown, slow-smoked paprika and sea salt, garlic, and basil. The smoky paprika gives it a flavor similar to bacon, which makes it an excellent addition to grilled or barbecued meat, creamy pasta, and egg dishes. 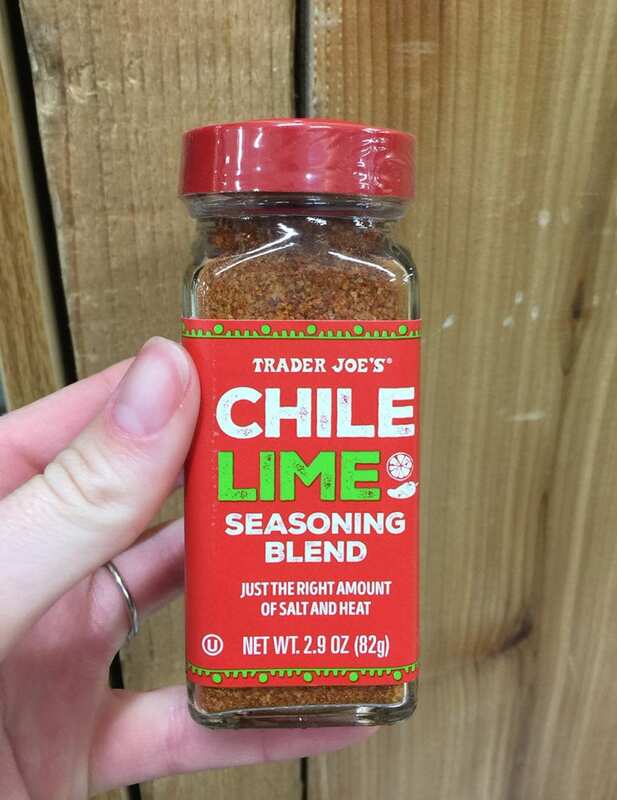 Trader Joe’s Chile Lime Seasoning Blend takes everyday dishes to a whole new spicy and refreshing level. Made with sea salt, chile pepper, red bell pepper, and lime juice power, it’s the ideal balance of spicy and citrusy. Use it on tacos, salads, grilled fish, chicken, or baked potatoes. 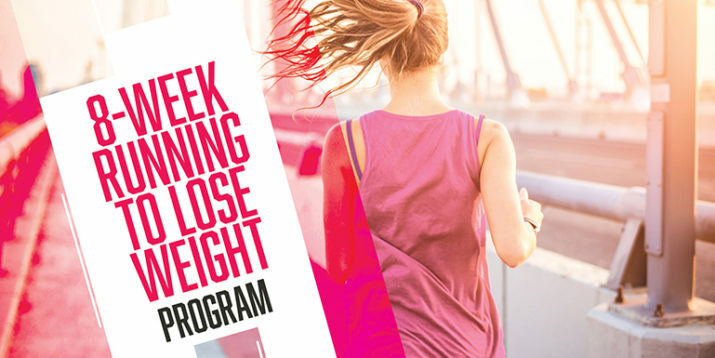 Or, add a few shakes to popcorn, sliced cucumber, or fresh watermelon and mango for an invigorating, salty snack. 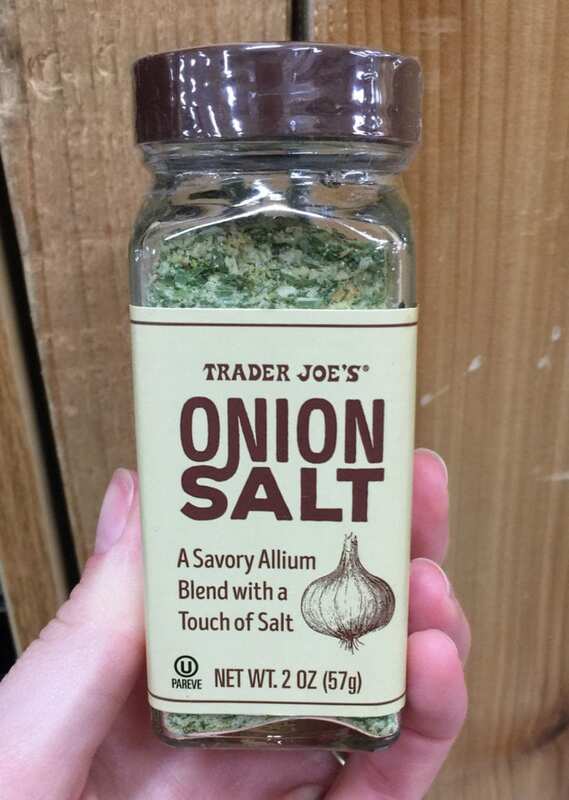 Homemade onion dip is made easy with this Trader Joe’s Onion Salt! This savory mixture includes granulated onion and garlic, plus minced onion, kosher salt, green onion, and dried chives. 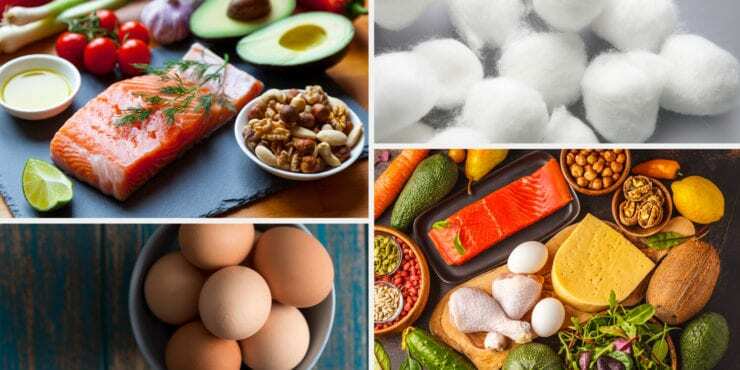 The possibilities with onion salt go beyond just dips: use it to season taco meat, hamburgers, or steak, sprinkle it on baked potatoes, eggs, and roasted veggies, blend it into hummus, or use it to bake your own oniony crackers or bread. Originating from Egypt, this nut and spice blend is designed for bread-dipping purposes. It contains almonds, sesame seeds, fennel seeds, coriander, anise seeds, and kosher salt for a spicy, rich taste. Go the classic route and dip a thick slice of bread in a bit of olive oil and dukkah, or add a pinch of dukkah to hummus or salad dressing to give an extra kick of flavor.